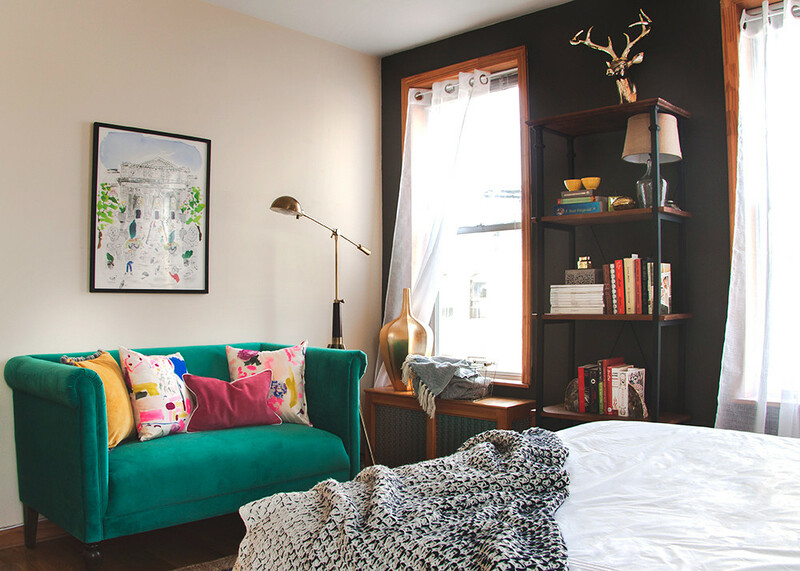 Lonny's Graphic Designer Natalie Caceres gives her Greenpoint, Brooklyn bedroom a new look. A curvaceous Target lamp sits on gilded nesting tables from Z Gallerie. Full disclosure: I’ve never fully grasped the concept of interior design improving one’s life. 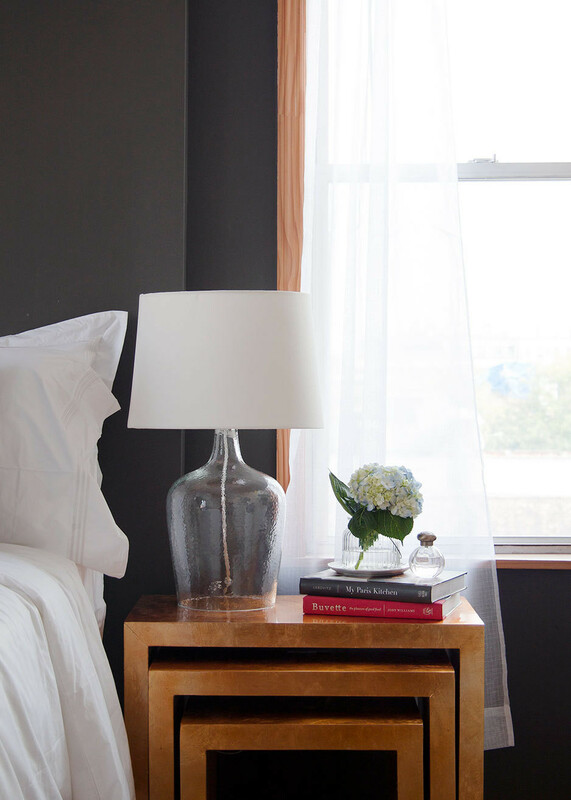 How could high-thread-count linens make me like my bed more? Would a good bookcase really encourage me to organize my books? 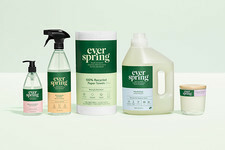 Is upgrading my dresser really going to inspire me to take better care of my clothes? Thanks to the bare-bones furniture I bought in graduate school and have been living with since, I’ve never had to consider any of these existential design questions. A stack of plastic milk crates as a nightstand? Perfectly acceptable decor choice for a J-school student on a budget. Then I got a job at Lonny and quickly realized that I could no longer justify living like a student in a room that had so much potential. Looking around my Greenpoint, Brooklyn, space, I started seeing inspiration everywhere—from the dark walls and high ceilings to the oversize, wood-encased windows—and began to embrace the possibility that I might actually want a bedroom that feels as thought-out as it is functional. 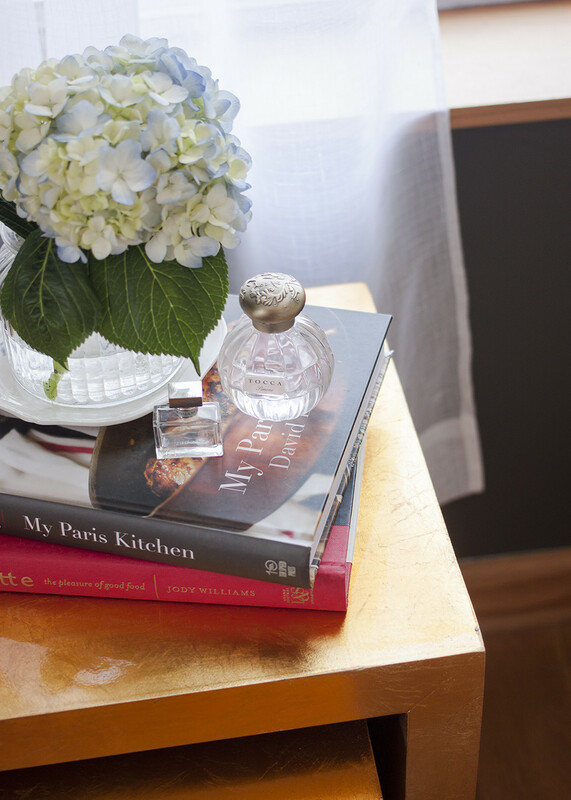 Cookbooks and an arrangement of hydrangeas top Z Gallerie's gold-leaf nesting tables. 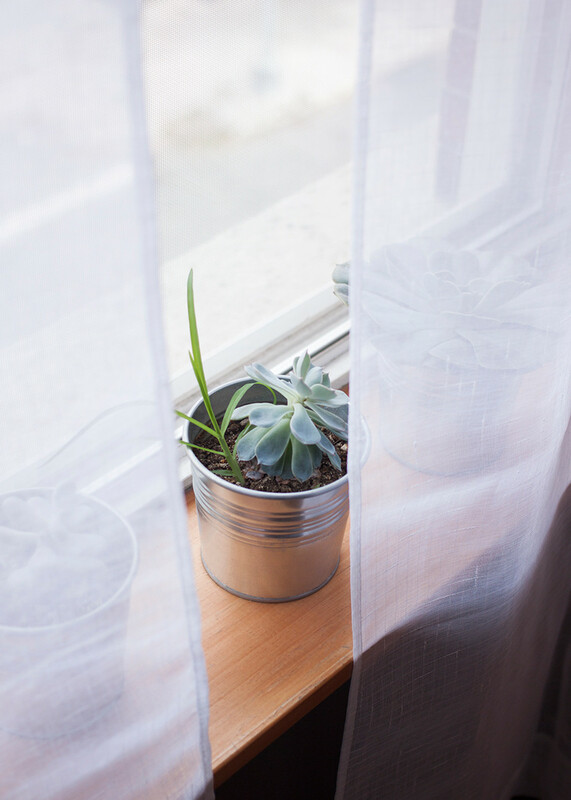 Behind gauzy linen drapery, succulents soak up the sunlight on a wood windowsill. First came the planning stage. After a few weeks of compiling design inspiration and collaborating with the talented creatives I’m lucky enough to call my colleagues, a bona fide makeover vision started to take shape. I decided that the dearth of color in my room was one of the main reasons I had no connection to it. That, and the lack of intentionally selected statement pieces that felt like “me.” With those tenets in mind, a makeover theme came into focus: taking this room from drab to fab. The first area to revamp was my bed. I knew I wanted to keep the duvet understated and elegant, adding the wow factor with a combination of pillows and throws. Pottery Barn’s timeless white 280 thread-count bedding set the stage for impactful accents, including Lulu & Georgia's plush velvet pillow, a cheeky turquoise pom pom pillow from Jay Street, and a statement-making striped pillow from Serena & Lily. With a graphic throw courtesy of Target’s Threshold collection at its foot, the bed was officially made. Then it was onto that embarrassing milk crate nightstand, which I gladly tossed in favor of Z Gallerie’s gorgeous gold-leaf nesting tables, topped with a shapely glass lamp from Target. Cue many a cozy—and stylish—night’s sleep. The dresser was updated with brass bin pulls from House of Antique Hardware. 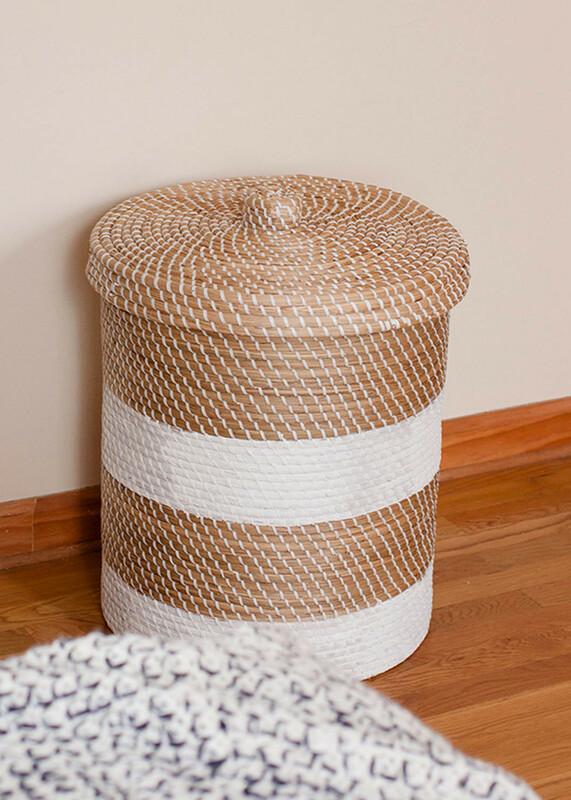 A Zara Home basket adds a hit of texture to one corner. The next challenge was to upgrade my basic white wood dresser. Having only bought it six months ago, I wasn’t ready (emotionally or financially) to get rid of it. So rather than replace the structure, I simply swapped out the hardware, turning to a purveyor from my hometown of Portland, Oregon—House of Antique Hardware—for their chic brass pulls. The polished addition lent a pleasingly retro feel to a piece that would otherwise disappear. 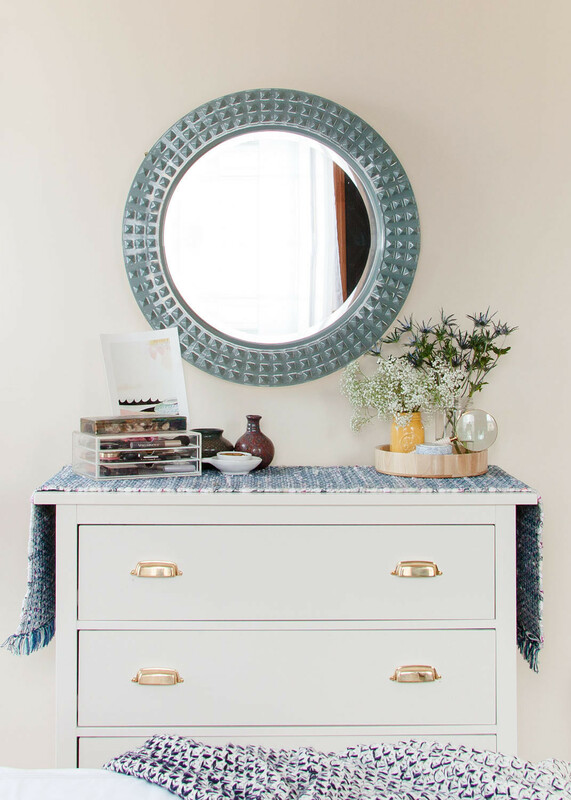 Topped with a nubby Anthropologie runner and presided over by a textural round mirror from HomeGoods, the unimaginative box became one of the more striking vignettes in the room. An industrial-chic bookcase from 55 Downing Street plays against the sophisticated lines of a velvet loveseat from World Market. 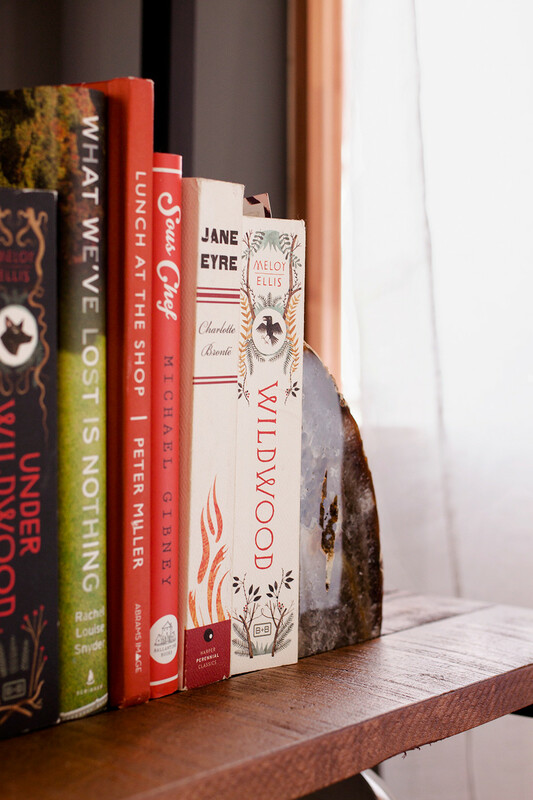 Agate Bookends from Z Gallerie add gloss to the rustic bookshelf. A smattering of colorful pillows from Serena & Lily and Furbish sit below Bella Foster's New York Public Library; a Lamps Plus Floor Lamp rounds out the display. Long a head-scratching design hole, an empty space between the room’s two long windows was begging for some love. 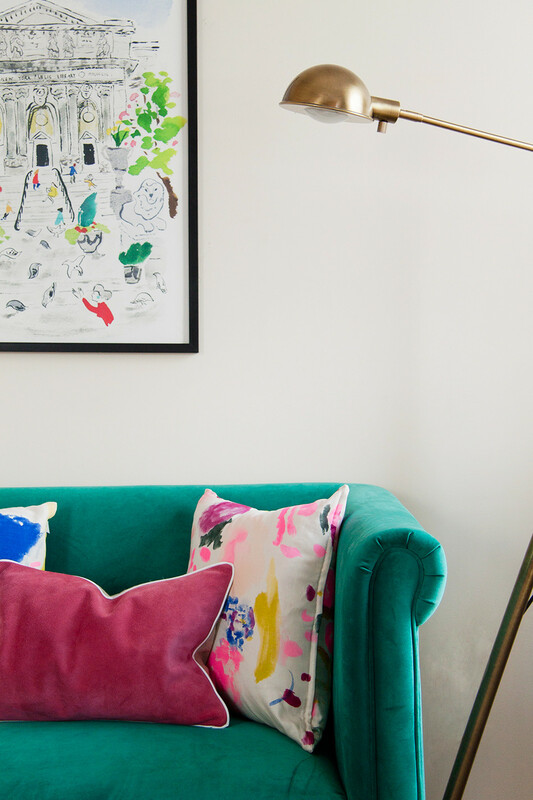 With a little encouragement from my fellow Lonny editors, I decided that having a grown-up room meant having an undeniably grown-up feature: a sitting area. With the right loveseat, my bedroom would feel one step closer to the Parisian boudoir of my dreams. After an intensive search, I stumbled upon World Market’s Emerald Marian version—with its crisp rolled arms and vibrant green velvet upholstery, it instantly brightened the nook, adding a new level of sophistication to the light-filled corner. In concert with the navy-bordered rug and deep magenta pillows from Serena & Lily, a refined jewel box effect began to take shape. The addition of a 5-tiered wooden bookshelf from 55 Downing Street helped give life to treasured books and magazines that had been collecting far too much dust. And lest I forget I’m not in Paris, painter Bella Foster’s New York Public Library watercolor from Stampa, hanging above the display, brings me back to a New York state of mind—one, I must say, very much reformed by a new appreciation for the power of design.